Our cats are seemingly independent, self confident, and poised. Their natural instinct to take great care of themselves is one of the attributes we love best about them. But, make no mistake: our kitties need us for companionship as well as to ensure they get the care they need and deserve. One place we may not think about on a regular basis is our cat’s mouth. After all, who wants to take a look inside there, with all those sharp teeth? But regular cat dental care is of one of the best ways to keep our feline friends healthy, inside, and out. 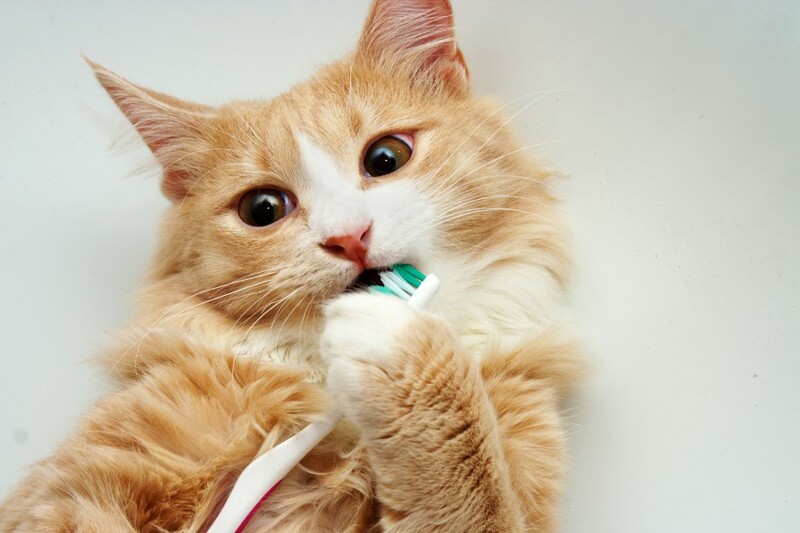 Have you ever wondered why we check your cats mouth and teeth during a regular wellness exam? Besides the fact that we leave no stone unturned, we look under the lips, around the gums, the tongue and throat because periodontal disease affects 85% of all adult cats. 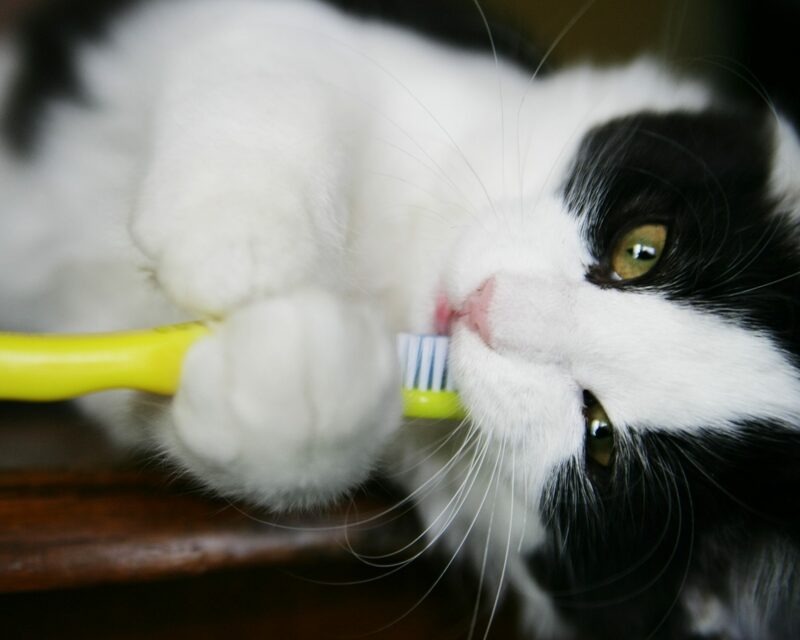 Like parasite prevention and proper nutrition, the state of your cat’s oral health and hygiene largely contributes to overall wellness and longevity. Think feline dental care is a big deal? We do, too! A Quick Guide to Feline Behavior: What Does It Mean When Cats Hide? The Vets have taken time to know and understand both my kitties. All clinic staff are caring, knowledgeable, and generally first rate. At Cat Care of Vinings, every person…demonstrated care. Everything was well explained… I received phone calls updating me on his progress and asking how he was after I took him home. They are compassionate and knowledgeable about cats and that is what really matters. Dr. Michael Friedlander is experienced, capable, kind, and caring with my cat and with me. Her staff is also excellent. Besides the excellent care for my cat, Michael also educated me on what I need to do to take care of my cat, such as vaccinations and heart worm prevention. This is a top notch feline veterinary hospital with a top notch staff! Where do I begin? There are so many positives about Cat Care of Vinings…this entire practice is on a whole other level… The environment is relaxing and the staff are comforting and supportive. These people love your pet almost as much as you do… This seems less like a business and more like a labor of love. [They]…always keep you in the loop of what is happening…and put both you and your pet at ease…providing first rate care for you cat. The quality of treatment and unbelievable care with which my kitten was treated are priceless to me especially as kitten moves into her later years. I wouldn’t take her anywhere else. …We must say that Dr. Jennifer Palmer…is the BEST. Her medical experience, bedside manner, candor, and quest for knowledge…is immeasurable. She goes beyond the call of duty to ‘reach-out’ for answers and health options you may not be aware of. The staff are always welcoming and hospitable. Doctors will go out of their way to make sure your cat is taken care of and comfortable. They always return your calls and even call to check up on your cat after an appointment. This veterinary clinic changed my cat's entire life…[he had] severe dental problems… I was reluctant to…do the procedures… I cannot stress how happy I am… Everyone treats the cats with love and care, and they treat the people with respect and offer great advice. I am extremely fortunate to have taken her to Cat Care of Vinings… They take time to listen…answer questions, offer guidance…compassion, and give frequent and welcome updates. Cat Care of Vinings is located in NW Atlanta, GA and serves the greater Atlanta area, including Smyrna, Vinings, Mableton, Marietta, Kennesaw, Sandy Springs, Roswell and Woodstock. We are currently accepting new clients and look forward to meeting you and your feline babies. Please call us to schedule an appointment. If your kitty is a little grouchy for visits, contact us for the best advice on reducing travel stress. Treating your cat is a vow of trust — we strive for compassionate excellence in our care and hope to exceed your expectations. Copyright © 2019 Cat Care of Vinings. All rights reserved.